Designed for KS1/2 pupils looking at local history, the following content contains tasks that explore the First World War, Fashion in Football, and Advertising. There is also additional information for teachers that illustrates the connectons between football and WWI, with additional guidance for helping students to research people from this era. To request a physical folder or downloadable content, please send an email to HistoryGroup@ecfc.co.uk. Football was a very popular sport in Britain and Germany in the years before 1914. In January 1900, representatives from 86 football clubs founded the German Football Association (Deutscher FußballBund – DFB) and the German national football team has represented Germany in international football competitions since 1908. While Britain and its allies were at war in 1914, football was still being played in the normal way at home. A lot of people thought this was wrong. In England, there were Division 1 and Division 2 Championships and an FA Challenge Cup competition. 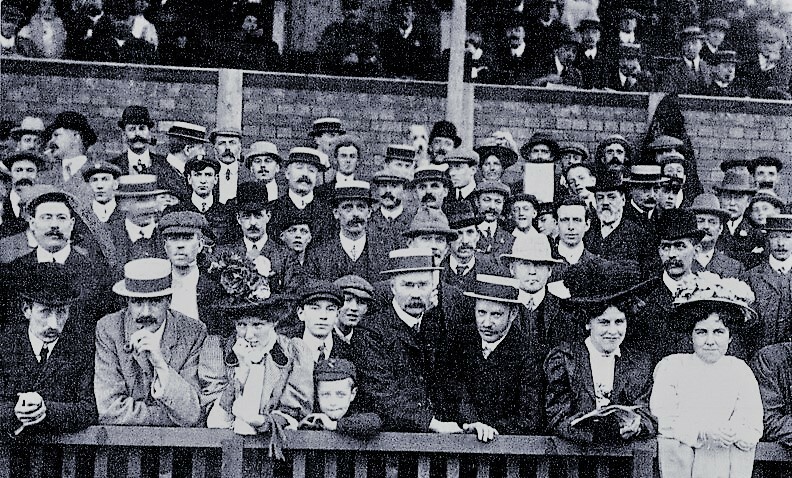 The FA oversaw football in England then, as it is now, and the Dean of Lincoln wrote scornfully to it of ‘onlookers who, while so many of their men are giving themselves in their country’s peril, still go gazing at football’. There was criticism of the players too. Some people thought that young men who played football professionally should be fighting for their country. The FA made ‘An Appeal to Good Sportsmen’ and a poster was issued in November 1914 imploring footballers (and others) to join the armed forces. ‘Every man must know his duty to himself and to his country’, it said on the poster. Arthur Conan Doyle, the author of the Sherlock Holmes books, also made an appeal. ‘There was a time for everything, but there is only time for one thing now, and that thing is war… If a footballer had strength of limb let them serve and march in the field of battle.’ Partly as a response to the criticism, a ‘Footballers’ Battalion’ was formed in December 1914. The 17th Battalion of the Middlesex Regiment, to give it its official name, had Frank Buckley, the Derby County and England centre-half, as its first member. The Football League instructed their clubs to release professional players who were not married to join the armed forces. The Footballers’ Battalion quickly grew with players from teams including Portsmouth, Crystal Palace, Millwall, Chelsea and the whole of the Clapton Orient (now Leyton Orient) team. The Footballers’ Battalion, consisting of professional and amateur players, plus some football supporters, left for the war in November 1915. 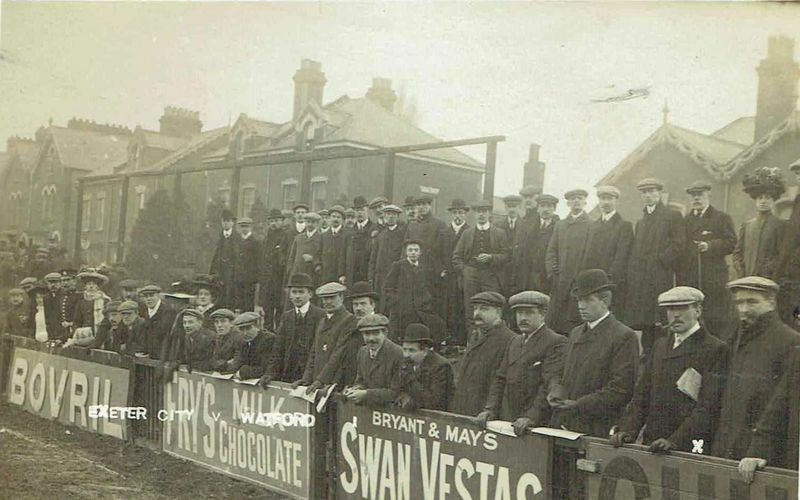 By the following March, 122 professional footballers had signed up for the battalion, which led to press complaints, as there were some 1800 eligible footballers. By the end of the war they had lost more than 1,000 men and in the Battle of Arras alone, 462 were killed. England’s 1914–15 football season ended with the FA Cup Final between Chelsea and Sheffield United. The match was christened ‘The Khaki Cup Final’ due to the large number of uniformed soldiers present in the crowd at Old Trafford. The Earl of Derby presented the trophy to Sheffield United with the words: ‘It is now the duty of everyone to join with each other and play a sterner game for England.’ Everton won the First Division title and Derby County lifted the Second Division crown. After that, all competitive football was suspended. Try and create a profile of a First World War footballer and present your research as a poster. This could be someone from your area, someone from a local team or someone whose story inspires your pupils. 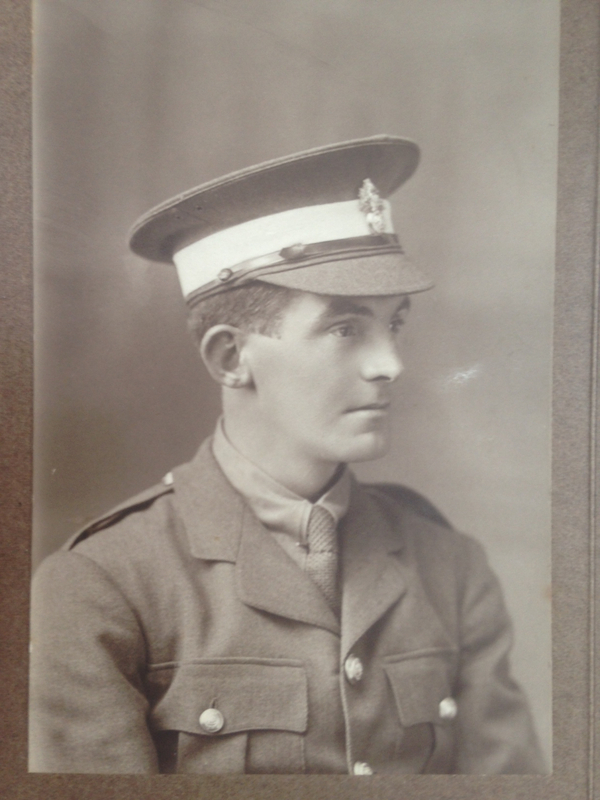 This activity gives students a human connection with football in the First World War through an individual player’s story, professional or amateur, man or woman. Ask students to work independently or in pairs to research a footballer, record their findings and present them to the class. They could use a wide range of sources. Online research, libraries and football club historians are a good place to start. Remind them to record the sources they use. Deciding who to research can be one of the toughest decisions – here are a few options to help you get started: Did your team exist at the outbreak of the First World War? Did your team exist at the outbreak of the First World War? If so, can you find out what happened to the people who played in your team during the war? Can you find out who played for them, and what the team did during the war? 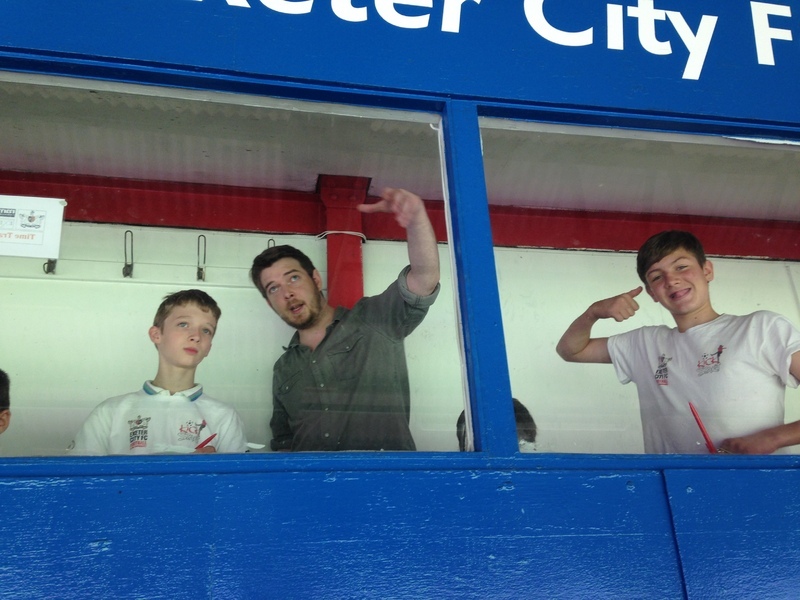 (This is a good place to start whether you support a small local club or one of the Premier League’s top four teams). What can you find out about them? There may be a very special story on your doorstep. Perhaps a great-great-uncle who loved to play football before the war signed up. Where did he (or she) grow up, what was their family like, what was their job before, or as well as, playing football? WHAT HAPPENED TO THEM IN THE WAR? When did they join up to fight, and which regiment or battalion did they join? If you are finding out about a female footballer, what did she do during the war? Why did she start playing football? WHAT HAPPENED AFTERWARDS? If they survived, what did they do after the war? If they died, are they remembered somewhere? For example, on a war memorial or at their football club - Remember that most people who took part in the war came home – 88 per cent of soldiers returned. A PHOTOGRAPH If you can find one that is free of copyright restrictions. A DRAWING Be an artist! From what you have discovered, what do you think your footballer looked like? RESOURCES USED It’s always important to explain how you got your information and where you got it from? Percy was educated at St Sidwell’s School, just down the road from St James Park He did his teacher training at St Luke’s College in Exeter, and returned to teach at St Sidwell’s. 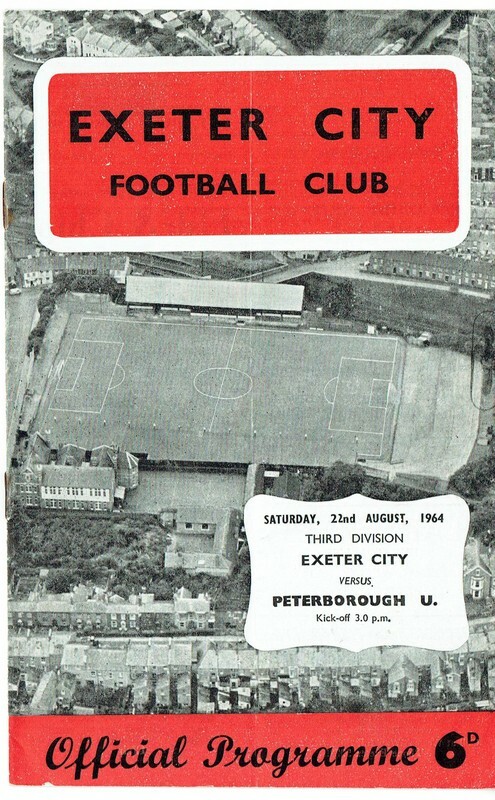 Percy was a keen sportsman, and played football for the Exeter City Reserve team, while teaching at the school. The team were known as the Grecians as this was the name given to those people who lived outside the old Roman Walls, found in the centre of Exeter. When war broke out, Percy enlisted with the Public Schools’ Corps and spent six months at the Front. Returning home, he trained for a commission and was made a second lieutenant. 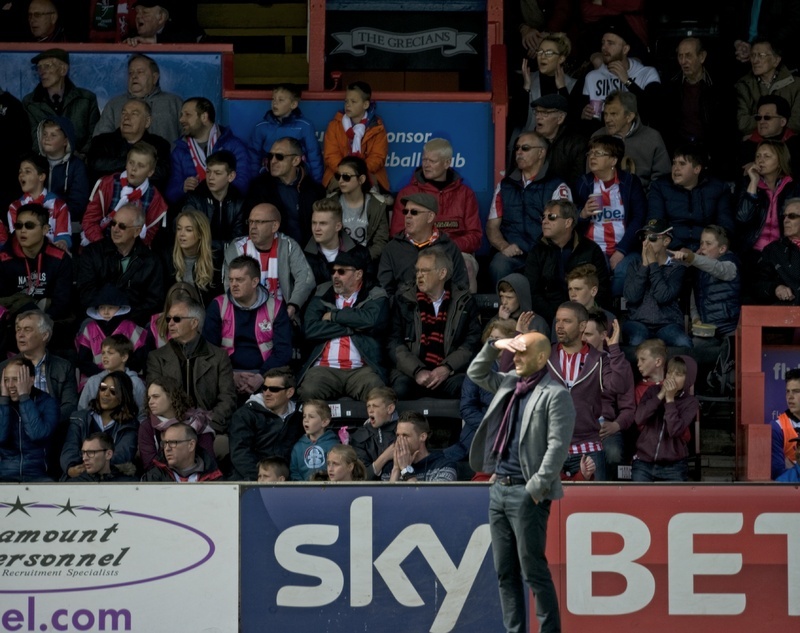 Question: What is a true Grecian and why are Exeter City called the Grecians? 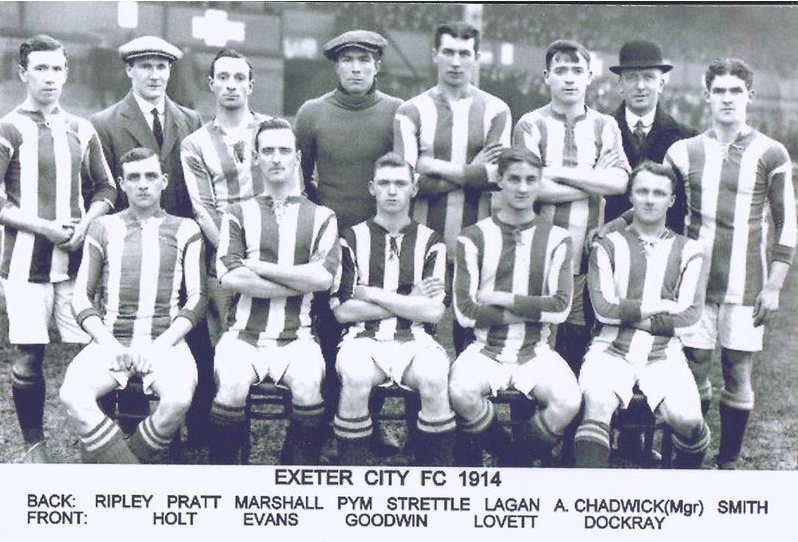 At the outbreak of the First World War in 1914, football continued to be played in Exeter and across the country. However, as the conflict grew, more and more men were needed to take part in the War, and so football was put on hold as many players left to take part in the war effort. Question: Using the Grecian Archive A-Z collection, can you find out what happened to the men in the photograph? Below are two photographs of the St James Park Crowd, taken 100 years apart. Can you see anything different in the pictures? Can you spot anything the same? Are there more chidren in the recent photo or in the past? Are the clothes people are wearing very different? Do you think it would have been much different to sit in the crowd 100 years ago, and if so how? Are photographs a good way of finding out about the past, and if yes, why is this? What question would you like to ask someone in photo A? What question would you like to ask someone in Photo B? Advertising is a big part of football. In programmes, around the ground, and on the television, people use adverts to promote their activities or products. What is being advertised, which is the older picture? Why? 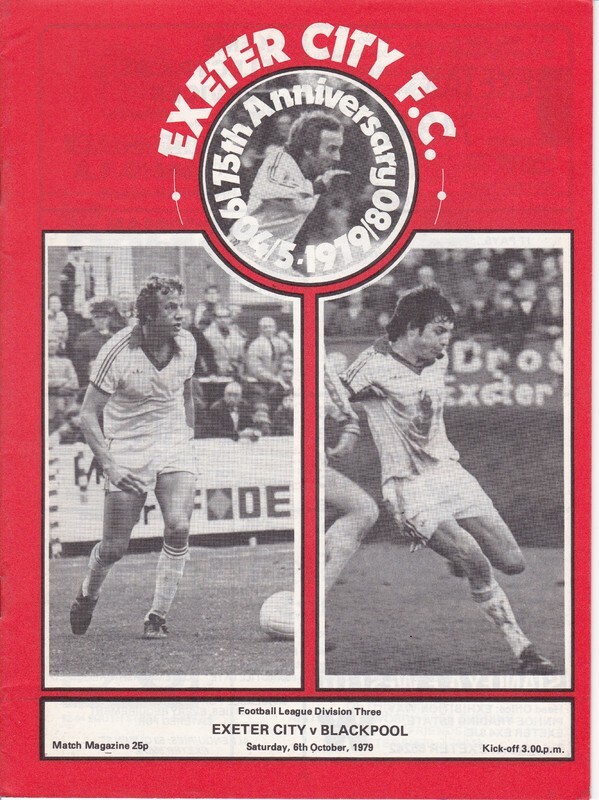 Look through the two programmes linked below, there is a recent one and one from the 1970’s. Can you answer the following questionns? Are there more adverts now or in the 70’s? What cannot be advertised in todays programmes that could be advertised in the 70’s? Are adverts local or national? Are there big differences in the adverts i.e. they style, or what they are advertising? Can you come up with your own product or activity… either one you know of, or one you make up, and make an advert for it?